Waft down the road in any of the 4 Bentley Flying Spur derivatives, and you’ll be met with mouths agape and envy-filled stares. The 4.0-liter V8 churns out 500 hp in standard trim and 521 hp in V8 S trim, while the 6.0-liter W12 kicks out 612 hp and 62 6hp in standard and S trims respectively. 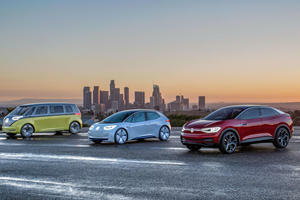 All models feature all-wheel drive and an 8-speed ZF automatic transmission. The Mulliner specification adds 21-inch alloy wheels, chrome body detailing, diamond quilted interior upholstery, and drilled alloy pedals. Available safety features include adaptive cruise control, forward collision warning, and blind spot monitors. ‘Entry level’ is hardly the phrase you’d use to describe any Bentley, so we’ll call the Flying Spur the junior Bentley sedan, sitting beneath the larger hand-built Mulsanne, if that’s any better a description. Based on the same platform as the outgoing Continental GT, the Flying Spur is an entry level sedan that costs more than most houses. Released in 2013, this second generation begs the question whether Bentleys get old, or mature like fine wine? With 2 engines available, each with two states of tune, this may truly be the Continental for the family man. Authentic wood veneer and luxuriant leather adorn the Flying Spur’s interior, interspersed with chrome organ stop vent dampers across the dash. Center stage, there’s a Breitling analog clock – perhaps one of the only analog elements about the Flying Spur. 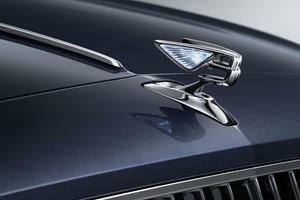 All 4 seats in the Flying Spur’s cabin feature heating and ventilation, along with their own climate zone as standard. Front occupants get infotainment taken care of by a rather old-feeling 8-inch touch screen; whilst rear passengers get optional dual display screens, fold down tables, and Wi-Fi connectivity to keep them in the lap of luxury. Still not luxurious enough for you? How about optional, bespoke crystal champagne flutes. Sub-segment rivals like the Audi A8, Mercedes S-Class, and BMW 7 Series may offer the same, or more toys, but lest we forget, this is a Bentley – there’s a certain ring to that the others don’t quite have. When in a Bentley, you don’t cruise down the street, you waft. Be it quick, slow, or anything in between, it’s always wafting – that’s the nature of a Bentley, and the Flying Spur is no different. An adjustable air suspension is standard and features 4 drive modes to ensure the right persona for any scenario – though on larger 20-inch alloys the ride can become a bit jittery and firm, even in comfort-biased modes. 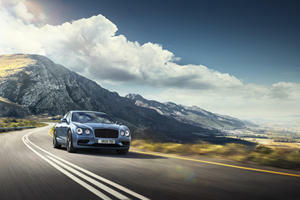 V8 S and W12 S models feature recalibrated suspension for sportier handling dynamics, but at the compromise of comfort. But lest we forget, even in V8 form, the Flying Spur still weighs a hefty 5,300 lbs. In spite of the weight, the Flying Spur does a surprising job of being an adept handler. Weight aside, it’s easily as competent through twisting roads as any competitor is – and all-wheel drive assuredness with a rear-bias actually makes it feel exciting in a way a car of this size surely shouldn’t. Two VW group engines find themselves a home under the hood of the Flying Spur – each twin-turbocharged and each in standard and S states of tune. A 4.0-liter V8, the same one found in the Audi RS7 boots out 500 horsepower in standard trim and 521hp in S guise, with torque at 487- and 502 lb-ft of torque respectively. The W12 is 6.0-liters in capacity with outputs of 616hp and 626hp in standard and S trims, with torque figures of 590- and 605 lb-ft. A rear-biased all-wheel drive system is standard, as is an 8-speed automatic transmission sourced from ZF. At this level of luxury, you’d be surprised to hear that cheaper, more German competitors offer more in the way of gimmicks and tech. Nevertheless, the Flying Spur can still be optioned to feature carbon ceramic brakes, adaptive cruise control, navigation, voice control, a power trunk lid, and keyless entry and ignition. Safety kit includes ABS and stability control, though an optional package adds forward collision alert, lane keeping assist, and blind spot monitoring. 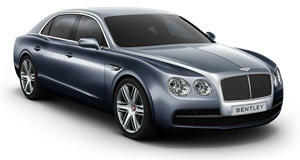 The Bentley Flying Spur hasn’t been crash tested by local safety authorities. Here’s the thing, if you’re looking for gimmicks and the latest technology, you’ll find it all and more in cheaper alternatives. But go for one of those and you’ll never have the bragging rights associated with owning a Bentley. That’s what the Flying Spur gives you – even though it is now aging. It’s a cut above in name and reputation, and isn’t that worth it at the end of the day?